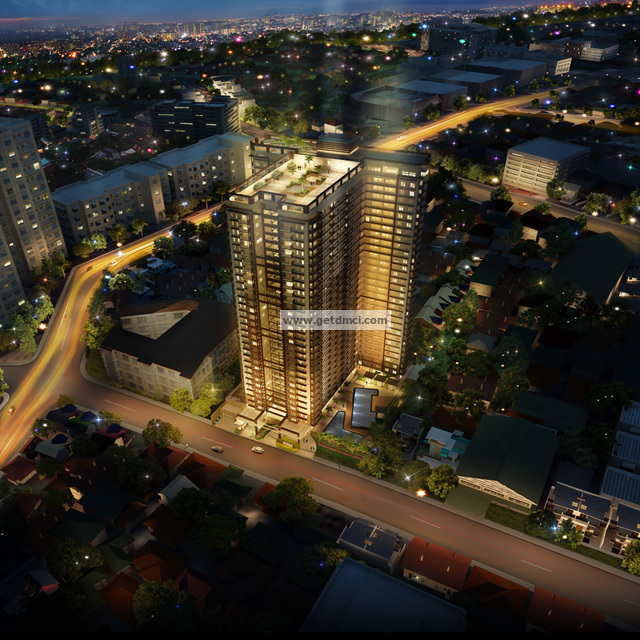 One Castilla Place is the newest pre-selling condo in Quezon City by DMCI Homes. 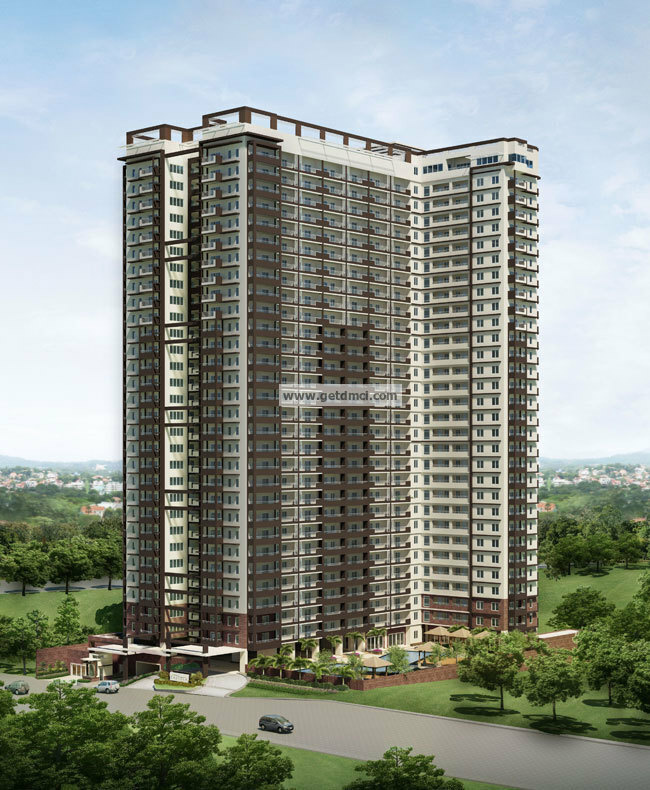 The condominium is a 30-storey residential high-rise project in Valencia Hills, Quezon City. 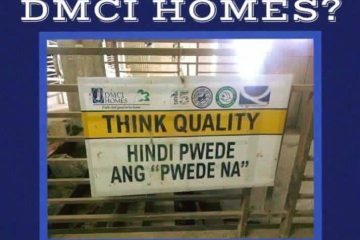 DMCI Homes offers the best in condo living with resort-type amenities and modern recreational facilities. Apart from creating a space that inspires suburban appeal, the new development also offers the convenience of being situated in one of Manila’s most developed centers. Ideally located along Castilla Street, Valencia, Quezon City, this single-tower project with five basement parking levels was designed with first-rate building features and themed architectural design. It also offers a relaxing haven where exclusivity and security is of utmost concern, where residents can feel joy and inspiration within a nurturing environment. One Castilla Place will have amenities that provide a respite from the usual cramped, boxed-in feeling associated with most condominium developments. One of its most notable features is its lush landscaping that’s spread throughout the entire 5,452 sqm property, which is perfectly blended with its resort-inspired amenities. Unit owners will enjoy its themed gardens, swimming pools designed for both kids and the young-at-heart. One other unique feature is the Sky Park located at the top floor of the tower, where unobstructed views of the city awaits every resident. There’s also the Sky Lounge for a more picturesque view of the entire neighborhood. There is a gameroom and fitness gym for sports buffs, a function hall for large family gatherings and other social activities, a convenience store, laundry and water refilling stations are also available. One Castilla Place is located in a secure environment since it is strategically located in a quiet, low-density residential neighborhood along Castilla St. in Barangay Valencia Hills. The development has security features such as CCTV and 24-hour security from roving guards. In addition, a professionally trained property management team has also been formed to take care of daily community needs allowing for a worry-free, easy and comfortably convenient experience. 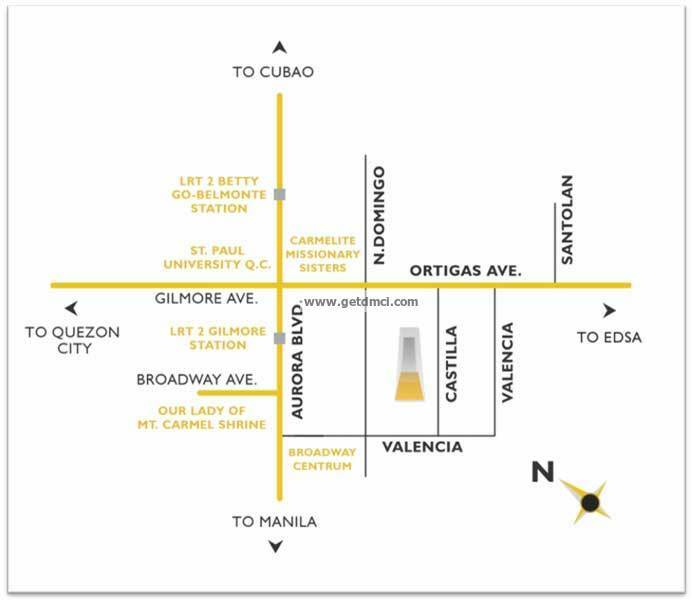 The condominium is near Ortigas Avenue’s business center and offers easy access to major road and transport hubs thereby bringing its residents closer to other key areas in the metro via major thoroughfares such as N. Domingo Street, Aurora Boulevard and Granada Street-Ortigas Avenue.